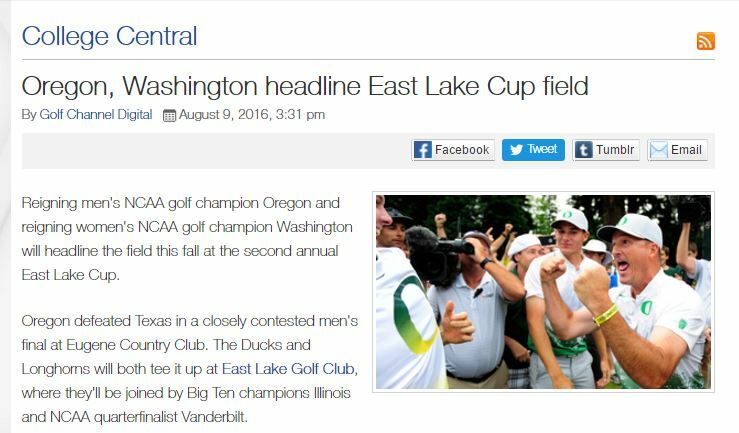 (Golf Channel) Reigning men’s NCAA golf champion Oregon and reigning women’s NCAA golf champion Washington will headline the field this fall at the second annual East Lake Cup. 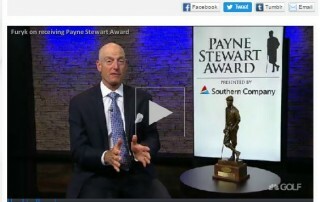 Days after breaking the PGA Tour’s all-time, 18-hole scoring record, Jim Furyk was named the Payne Stewart Award recipient for 2016. 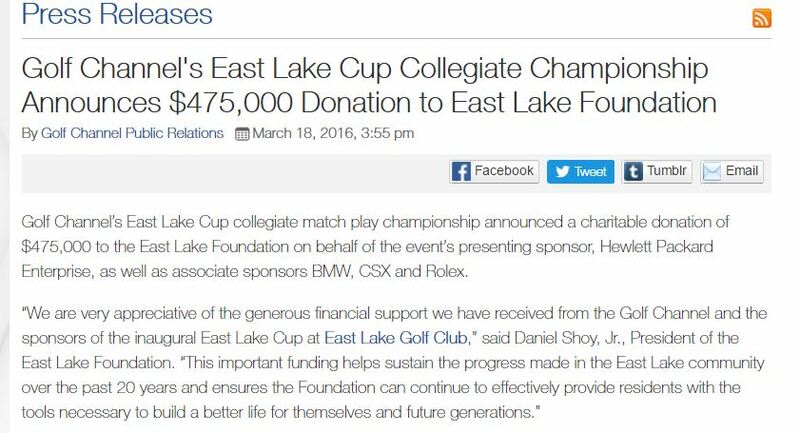 Watch as CNN’s Living Golf tells the exciting story of Bobby Jones and his impact on the game of golf. 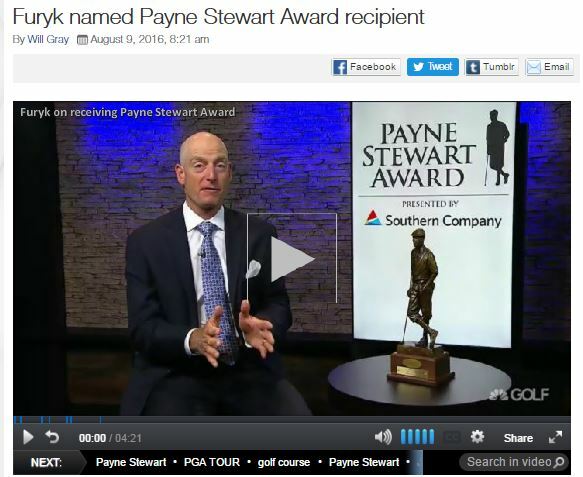 Click here to view the video on CNN’s Website. 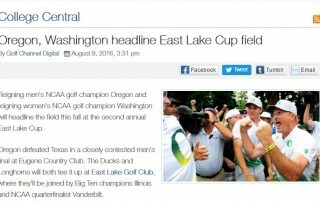 Copyright ©2012 - by East Lake Golf Club. All Rights Reserved. Photos by Dave Sansom and Jonathan Hillyer.